Demi Lovato says Niall Horan is "awesome"
The US 'X Factor' judge has been romantically linked to the One Direction singer and although she refused to confirm a relationship, Demi did acknowledge the pair are close. When asked on radio station B104 if she is dating the singer, Demi joked "I don't even know who One Direction is." However, she quickly added: "I'm kidding. Niall is a friend of mine. I do know who he is. We're just friends and he's awesome. He's cool." Niall recently revealed he "doesn't know" what's going to happen between him and Demi. He admitted he has been in contact with the US 'X Factor' judge and while they get on very well and really like each other, he isn't sure what the future holds. He said: "We've spoken alright, yeah. So, I got in contact with her, she's really nice. Um, I don't know what's going to happen." Niall was first linked to Demi earlier this year after they both revealed they had crushes on each other. Demi, 19, said: "I would snog Niall. I do have a little crush on him." "I love Niall, he is so cute. I hear he's really sweet and he's a cutey pie!" Niall - who, along with his One Direction band-mates, Harry Styles, Liam Payne, Louis Tomlinson and Zayn Malik, has become an international heartthrob - also said he was a fan of Demi. 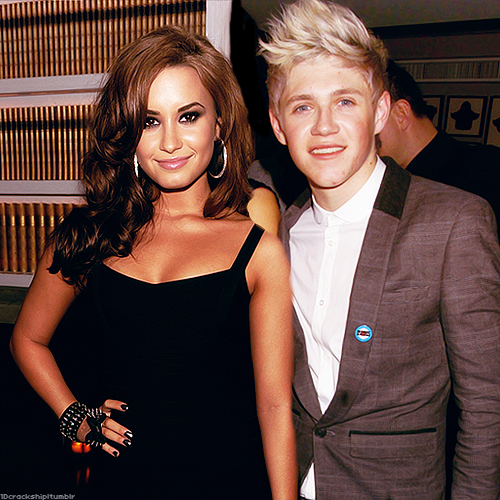 When asked who his celebrity crush was, Niall, 18, replied: "Demi Lovato - she's a beautiful girl." He was then asked who he prefers out of Kim Kardashian or Demi and he said: "Demi definitely."